Samsung's bad luck continues this week as the Korean company loses its bid to overturn a ban against its original Galaxy Tab 10.1 tablet in Germany. The ruling means Samsung can only sell the modified version of its popular Android-powered tablet — designed to evade Apple's patents — in Europe's biggest economy. A higher regional court in Duesseldorf, Germany, made the final decision on Tuesday, handing yet another victory to Apple as the Cupertino company pursues a number of legal battles against the Galaxy Tab maker in lawsuits all over the world. 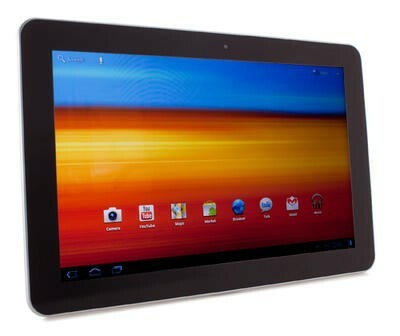 Today's ruling validates Apple's decision to bring claims against the Galaxy Tab 10.1. Apple's actions may have been aggressive, but they weren't unreasonably overreaching. At the very least, there can be a genuine dispute over this issue. But the strength of Apple's Community design is increasingly questionable. Just last week, a Dutch appeals court narrowed the scope of that design-related right and did not find Samsung in infringement. I didn't see a reference to unfair competition law in the Dutch ruling. Apple brought such claims only in Germany, a jurisdiction in which unfair competition law is almost a "catch-all" kind of law that is applicable to a wide variety of commercial issues. As the report notes, Apple pursued these claims only in Germany, thanks to the country's unique laws. But the company would not be able to replicate the ruling in other territories, or against Samsung's redesigned Galaxy Tab that was built specifically to avoid Apple's patents. The decision follows another blow that was handed to Samsung last week, when it lost the second of its three patent lawsuits against Apple in the U.S. A ruling will be made on the third case on March 2. Do you think Samsung's original Galaxy Tab 10.1 should have been banned in Germany?